A big thanks to all staff, who stayed late tonight to update their epi-pen training. Although there are increasing numbers of children with significant allergies, it is still very rare to encounter a severe reaction, even though this is the case, all staff have received training. 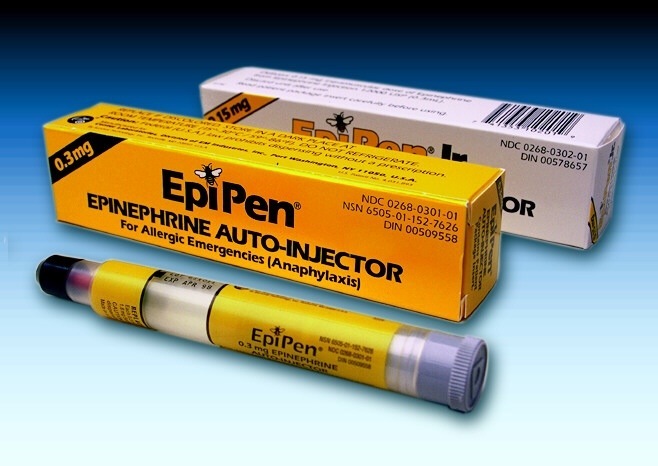 The epi-pen training is the last line of defence against allergic reactions. The most important weapon in our arsenal is communication. If a child has a severe allergy it will already be in a child’s induction records. This will be passed on to key carers and of course the kitchen. Allergy information is displayed in the kitchen on the allergy board and in the dining room with a picture on the allergy board. This ensures that chef knows what food to prepare and the staff know what food to give out. This is a double fail safe routine. There are no recipes in the setting that contain nuts of any kind and the only food given to the children always passes through the kitchen. This includes shop bought cakes that parents bring in to celebrate special events. We cook from fresh every day using whole foods. This means that we know exactly what the ingredients in our food are. If you suspect that your child does have a significant allergic reaction, it is important that they are fully tested so that if they do, you can access training and the setting can be given an epi-pen that can be stored on site. Despite having children passing through the nursery with allergies it is important to remember that we have never needed to use an epi-pen on site.